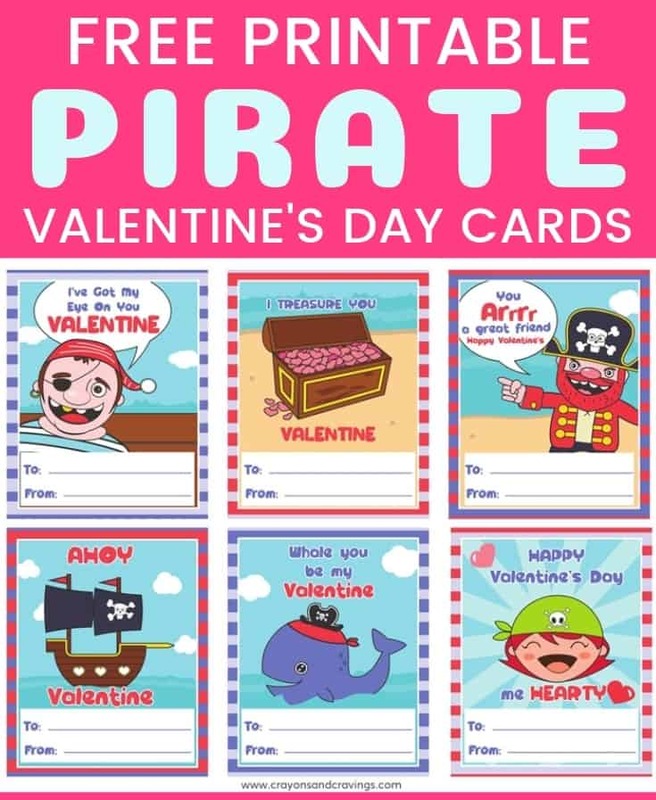 These free pirate valentines printables are packed with funny pirate puns and are sure to make great last minute Valentines for the kids class. 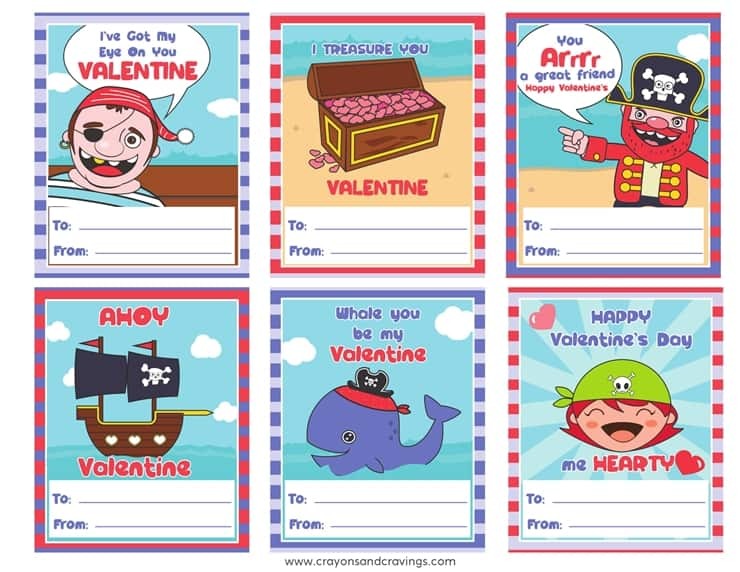 With cute illustrations and fun pirate-humor, these cute valentines are sure to get the kiddos giggling this Valentine's Day. Each page has 6 different pirate cards on it, each one with a different image and saying. The Valentine's Day cards have a spot on the bottom to write the name of the child that they are for, as well as the name of the child they are from. For best results, I would recommend printing your cards out on cardstock rather than regular paper. They will be thicker and hold up better. That said, regular paper can work in a pinch (aka the night before Valentine's Day). Simply download the PDF file here and print them out. 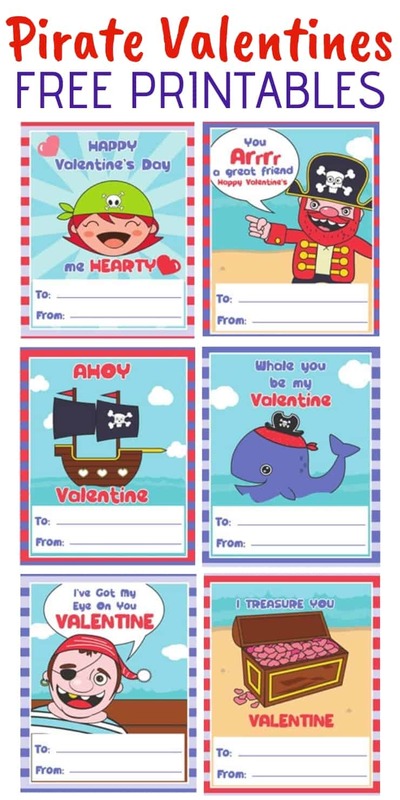 I hope that you and the kids enjoy these fun pirate Valentines. If you would like to add a little gift to your Valentines, check out our printable rubber duck valentines, cereal valentines, or play-doh valentines. They are all fun printables that pair with treats to hand out to the class. « Have You Seen the New Always Live #LikeAGirl Video?